I am not selling kayaks – I’m selling access to outdoor fun. It is easier to make the sale, and a more expensive sale, if you can position what you are selling. Do you sell just vitamins? Or do you sell the “Fountain of Youth” in a tablet? Do you sell night moisturizing cream? Or do you give women a chance to make their skin younger while they sleep? Do you sell coffee? Or do you sell a heavenly break from the ordinary day? Do you sell travel? Or do you sell an escape to an experience of a lifetime? Re-think what you are really selling, and then position it correctly with your prospects. The results could be amazing. Over the years, I’ve done some Big Al Workshops in Norway and Belgium, the most regulated countries in Europe. Even though these countries have high tax rates and many restrictions, network marketing is doing quite well. Maybe the citizens are tired of over-regulation and welcome the freedom of working their own business. We might take time to remember that money isn’t the only motivator for prospects to enter network marketing. Freedom of time and freedom from someone else telling you what to do are also important in people’s lives. 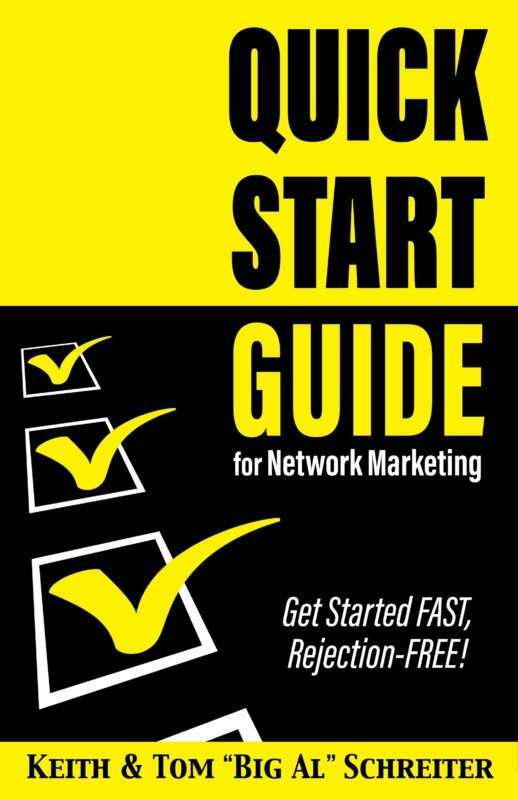 But the many benefits of network marketing don’t stop there. Some people join because of the learning environment and self-improvement trainings. Others join for the sense of community. They enjoy being with positive network marketers, instead of spending evenings with their negative in-laws. And others just want to be involved because of the product or the company’s mission. 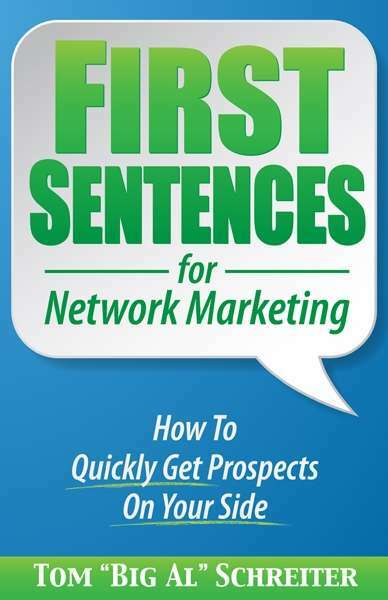 There are many motivators that get prospects excited about network marketing. Don’t think that money is the only reason. So how much is too expensive for your product? Everyone has money. They have money for an expensive car payment, an overpriced designer smartphone plan, beer, lottery tickets, beauty salon, eating out … and actually, plenty of money for things they want. And if they don’t have enough money for the things they want, they borrow more money! They use credit cards! They get what they want. So instead of trying to fit your product or opportunity into their budget, instead, give more value. People will pay for what they want. Here is another close that you can use with prospects. When you use this close at the end of your presentation, all of the stress and fears of rejection leave you, and the decision is now up to the prospect. Actually, the prospect now feels a bit of pressure to make a decision. The prospect must now decide to ask you to leave, or ask for more information, or say that he is ready to join, etc. But the neat thing is … the prospect has to make a decision. And, you can use this close to gracefully end your presentation. Yes, this is very low-pressure, but I always like to treat prospects as adults. Get inside your prospects’ minds with a story. One married couple goes out to a restaurant twice a week for dinner. They spend $160 a month on eating out. They get fat. Another married couple invests $160 a month in their own network marketing business. They stay slim and healthy. In a few years, they retire. They are already spending the money they need to participate in their own network marketing business. Now it is a matter of choice. Do they want to continue to dine out or would they rather eventually own the restaurant? Where to get “superstar” leaders? Spend time with everyone. Don’t prejudge. The next person they sponsor could become a great leader. You don’t personally have to sponsor superstars to build a large, successful organization.